This treatment s myomas from the uterus. 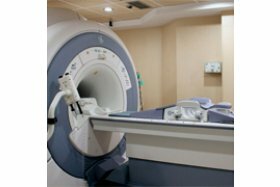 The da Vinci Surgical System allows greater precision to perform complex minimally invasive surgery. A hysterectomy removes part or all of the uterus. 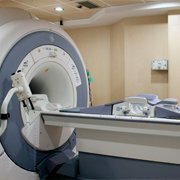 The da Vinci Robot gives greater precision to the surgical technique. A lymphadenectomy is a surgical procedure in which the lymph nodes are removed and examined to determine if they contain cancerous cells. 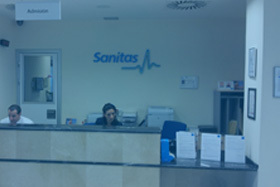 Specialist care aimed at guaranteeing the provision of the services d by the Sanitas population who come for consultations. 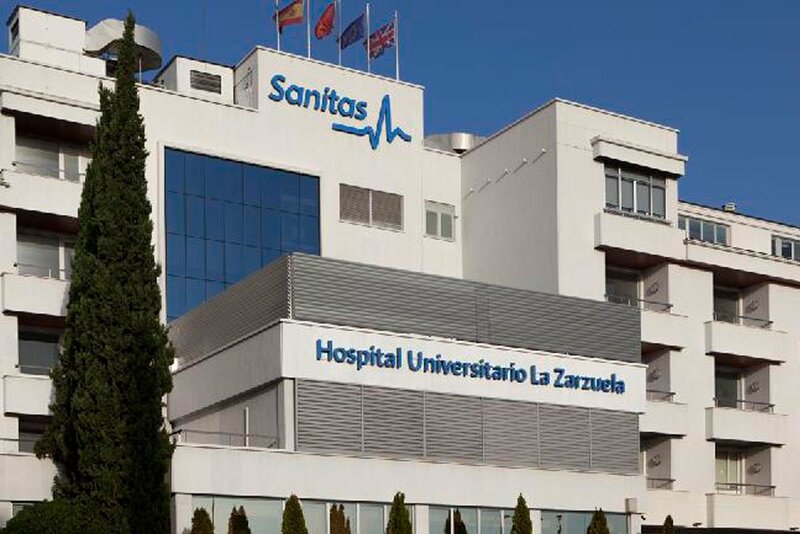 "Referral" care to patients referred from other centres with an agreement with Sanitas. 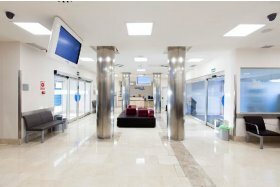 The Obstetrics and Gynaecology department is a private care unit which aims to promote reproductive health, to prevent and to re-establish the health and well-being of our users in a comprehensive manner (including prevention and healthcare education, diagnosis, treatment and monitoring), and care for newborns. We strive to make the most of our human and material resources with efficiency and criteria based on total quality. We strive to obtain the satisfaction of our patients and professionals, promoting professional training. Development of all the activities for undergraduate and postgraduate training in the different areas of knowledge for health science professionals. As an inherent of the very nature and history of our professional activity and of its ultimate goal of promotion of the level of health of the population. We want to be a leading unit within gynaecology and obstetrics in Spain, with the appropriate image and prestige within society and among other medical professionals. We want to be a reference model in complementary and alternative medicine, as an efficient and sustainable unit with respect to the use of scarce resources. Our effort will lead us to be a model unit of excellence in quality, basing our actions on scientific evidence and on constant professional and technical growth, achieving a high degree of satisfaction within society and the professionals constituting it. Total quality must be a premise in all our actions. We want to be a care unit in which the user is placed at the centre of the system, with greater humanisation of the provision of medical services; more and better care information; the possibility of choosing professionals possible; gaining the confidence of the patient; improving in hospitality; specific plans for certain groups of patients, etc. We want to be a unit in continuous growth in the area of teaching and research. To be a visionary unit, which meets the changing needs of society. To be an innovative unit, eager to teach and research. Our Obstetrics and Gynaecology department is a service focused on the client, based on the care of patients and professionals and in which we work as a multidisciplinary team. Ethics govern our activities, respecting the freedom of conscience of our professionals and the beliefs of patients. 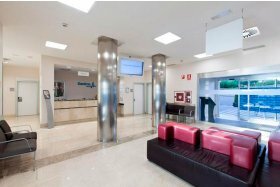 We prioritise the quality of our services, the satisfaction of our patients and professionals, as well as management by values. Given our previous experience, we consider our connection to university and our eagerness to teach and research to be an increasingly important value. Therefore, we are a centre accredited to train specialists in obstetrics and gynaecology, working with resident medical interns, as well as being linked to university for the training of undergraduate doctors. Our values are: We Are Passionate, We are Committed, We are Open, We Are Genuine, We Are Responsible, We Are Brave and We Are Extraordinary. Private healthcare service. We try to make our services flexible and modern. We adapt to social demands and incorporate technologies which help us. Need to respect the environment. Client focus. we do not think about them, but like them. 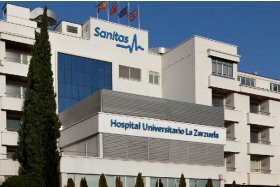 Sanitas policyholders are our organisation's raison d'être and so we make constant efforts to ensure that our procedures are focused on satisfying their healthcare needs and demands. 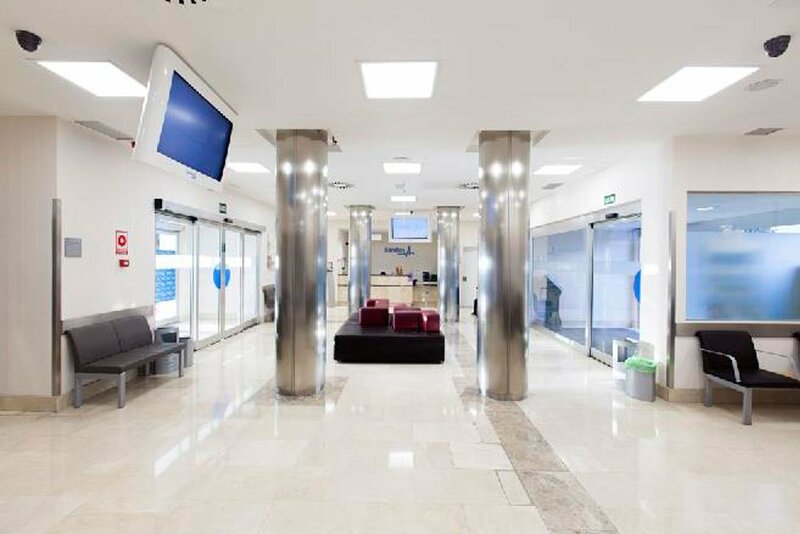 Moreover, we consider it important to take into ac the patient's rights, such as the preservation of their dignity, the confidentiality of the data and the right to information. We look after our professionals. Undoubtedly, the best resource we have to carry out our mission. Therefore, we take all the necessary measures to gauge the expectations of our professionals and thus improve their human and technical training, and contribute to increasing their motivation, satisfaction and professional development. We view the participation of our professionals as a priority. The decentralisation of decision-making, the responsibility of each professional and the recognition of effort are promoted. We believe that our relations should be based on mutual respect. We work as a team. We consider the team as the basis of our work. Within the team, emphasis is placed on help, kindness towards others, continuous learning and listening to ideas with mutual respect. We all have a role to play. We reflect together on the procedures and the way to improve results. We prioritise the quality of our services. We are committed to well-executed work. We understand that what we do can always be improved and we strive to achieve this. Thus, we can offer the best possible services to the population, with criteria based on scientific evidence (effectiveness) and making proper use of the resources available to us (efficiency). Ethics govern our activities. We consider it important to make decisions in light of ethical principles, assessing the different possible courses of action and their consequences. There would be a public, universal level expected of everyone, encompassing the 'do no harm' principle and the principle of justice. That is to say, not harming the patient and helping as many patients as possible. There would be another private and individual level constituting maximum ethical standards and encompassing the principle of principle of beneficence and of autonomy.